| With courses designed by police and offered exclusively to police, the LEOCJI strives to be the most academically rigorous institution for career development currently available to law enforcement professionals. Why The LEO Criminal Justice Institute? Law enforcement agencies are more challenged than ever to improve their employees’ performance with ever-restricted training resources. For this reason, LEOCJI has developed a system for training that allows officers to experience the quality education typically associated with classroom instruction without the added cost of travel. 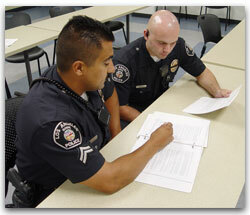 Similarly, officers can work at their own pace, on the job or while off-duty. Furthermore, students are provided with knowledge, skills, and materials they can use to access the vast resources available to them via the internet. material isn’t left in the classroom, but applied to improve work product. One of the most significant problems identified with conventional systems of education has been the ‘training gap’ that exists between theory and practice. To overcome this problem, LEOCJI has engineered their curricula to evaluate student performance not only based on what they learn in class, but also by how well they apply the material to improve their job performance. knowledge. This is the combined education and experience of every individual employee. We believe a quality system for professional training should have a methodology that taps into an organization’s knowledge to help anchor the course material for each individual student. As such, all of our curricula require collaboration with senior officers, supervisors, and prosecutors as part of the graded studies. 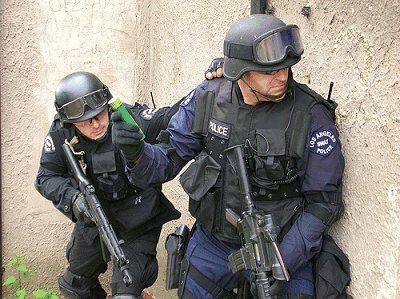 Visit policetraining.net and policeone.com to compare similar classes. Read more about the benefits of online training in an article published December 9, 2011 on PoliceOne, titled Reinventing Professional Training.